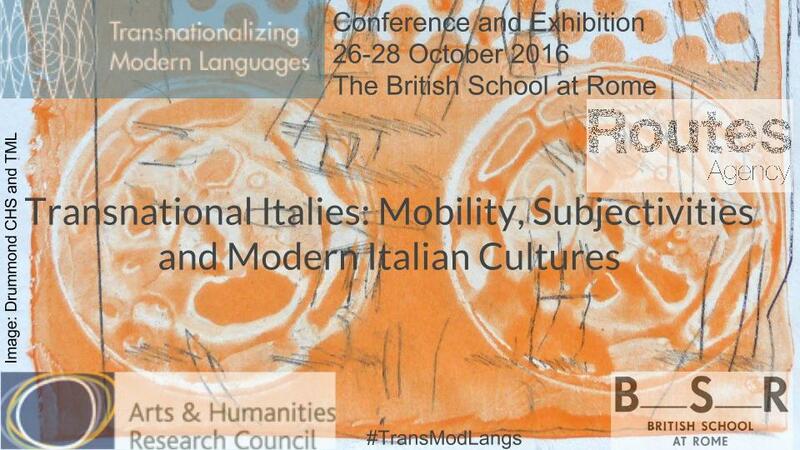 The conference and exhibition are part of the AHRC funded project, ‘Transnationalizing Modern Languages: Mobility, Identity and Translation in Modern Italian Cultures’. Registration for non-speakers costs €20 per day payable at the registration desk on each morning of the conference. If you wish to attend the conference, please fill in this registration form and return it to Barbara Spadaro (b.spadaro@bristol.ac.uk) by Monday 10 October 2016. The history of Italians and of Italian culture includes multiple experiences of mobility and transnationalism. Such experiences reflect the history of Italy as an ‘emigrant nation’ (Choate), an imperialist power, and a European country facing,from its Mediterranean location,the challenges of a transformingworld system. These histories of mass movements also represent millions of individual and collective trajectories, traced through micro-processes of cultural translation, acts of transmission, and memory mediation of subjects from a variety of national, linguistic and cultural backgrounds. 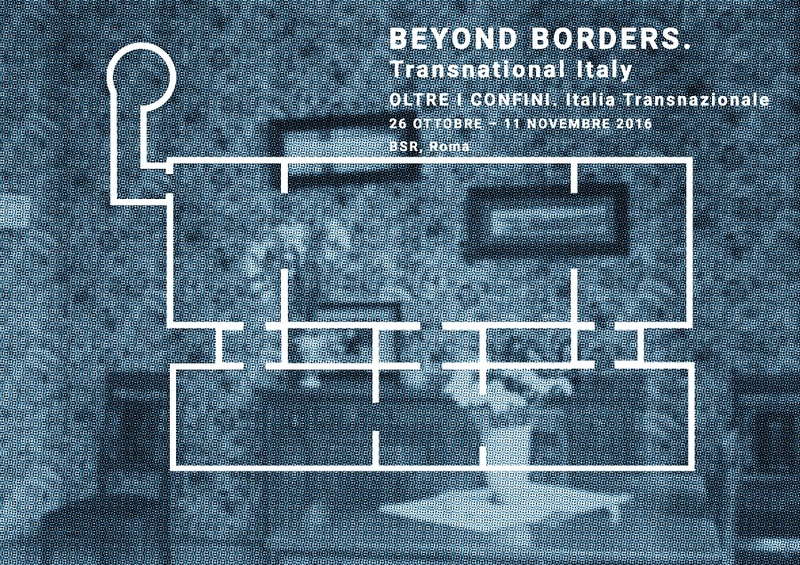 The conference aims to shed new light on the history of Italian cultural mobility. It will explore how the notion of ‘Italianness’ has been dynamically reformulated and performed by individual and collective subjects drawing from ideas of the nation state and its regimes of citizenship, from transcultural practices and transnational imaginaries. The conference aims to broaden the frame in which we read Italian history, memory and culture, considering the multiple levels of their negotiation, mediation and remediation. It aims to stress the fluid and relational nature of (Italian) culture and belonging, by investigating the events, media and memories through which they have been materialised, imagined and performed. By encouraging contributions that investigate the many kinds of representation – visual, written, oral and digital – that have been produced by subjects whose everyday practice has been defined by linguistic and cultural translation, the conference aims to explore the experience of transcultural belonging. Concentrating on a specific narrative, theme, or representative strategy of ‘Italianness’, papers will investigate the way in which human beings make sense of their experiences, and how notions of memory and cultural belonging are shaped by the movement across linguistic, social and cultural boundaries. A useful addition could have been perspectives and cultural/linguistic negotiation across the generations in Italian communities abroad.